If you are looking for new hidden object games to play, this new chapter in the Hidden Expedition game series is an interesting cross between pointandclick adventure and interactive hidden object gaming. For me this is one of the top new HO mystery PC games especially because of the variety in the hidden object games it uses from the usual list-type hidden object (HO) gameplay to the layered HO games. Plus the story, graphics, music and puzzles make this overall an excellent choice for hidden object game fans! And you can get it as an instant download online both as a full version or free demo for PC. After crash landing onto an extraordinary string of uncharted islands, you find yourself suddenly thrust into unique mystery adventure! You’re soon on the hunt for a ruthless pirate holding the valuable and dangerous secrets of this long lost island chain. Use your HO skills to discover the buried mysteries that lead you deeper and deeper into the secrets of Hidden Expedition The Uncharted Islands! Continuing from the previous chapter in the Hidden Expedition series, this new HO game has some of the same characters and gameplay of the first game. After crash landing on this unknown island, a mysterious hooded woman finds you. But she needs your help to save the islands from an ongoing feud between the local inventor Gideon and the evil Baron Undertow, a young pirate intent on getting his hands on Gideon's invention. With this invention, Undertow plans to wreck havoc upon the world if he is not stopped! This is a point&click hidden object adventure game. 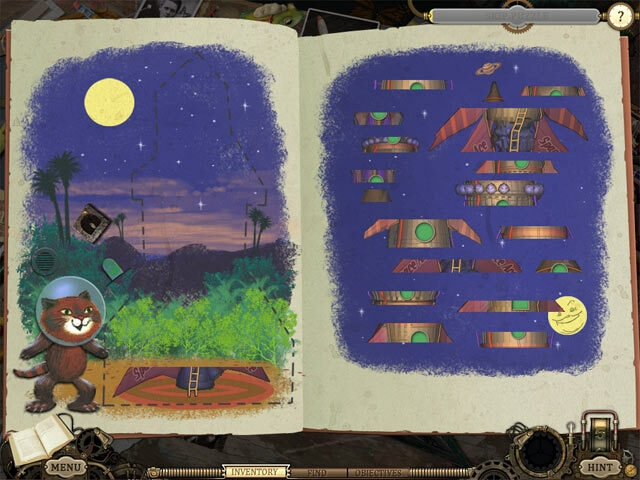 Sparkles indicate items of interest, you have a hint button, and a notebook to store useful bits of info. Navigate through the scenes to interact with the characters and objects, with unique HO scenes in which to seek and find clues, as well as puzzles and mini-games. What makes this new hidden object game much more interesting than the usual games is the hidden object elements. With a number of variations on the HO gameplay - including the usual HO games where you find items listed per scene, then there's the find a number of the same type of object within a scene, eg find all the butterflies. But this game also has a nice twist in hidden object games with the layered, HO game within a HO game where you must manipulate and interact with the hidden objects found to solve a problem before moving to the next layer of HO gaming. Very interesting. There are also some fab puzzles and mini-games to play. * Pros: Beautiful scenes, nice background music, minimal voice-overs, and although this chapter uses some of the plot and characters from the first game, the intro from the hooded woman fills in the gaps so you are not lost if you haven't played the first chapter. 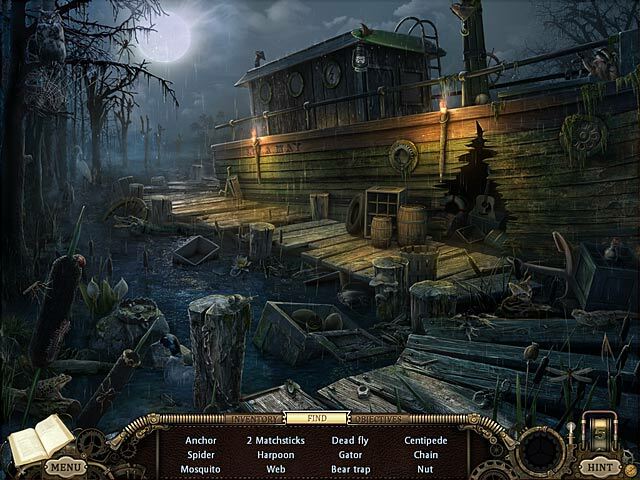 Especially good is the interactive hidden object games and the layered gameplay. Also some great puzzles. A very challenging new hidden object game overall. * Cons: though the illustrations are very clear the hidden items are sometimes so small and/or the background so dark, that it can be very tough to find some items. Also you'll find that you must be precise about where you place the cursor to 'pick' up the small items. Sometimes you think that you may have just clicked on the wrong place or just got it wrong, but actually you've just not clicked on the precise area correctly. But once you get the hang of the level of precision then this becomes less of an issue. The puzzles are sometimes not clear in what the aim is and can take a bit of time to work out. On the other hand, and another minor issue the mini-games are sometimes a little too easy. * Overall: An excellent adventure game with an interesting and new hidden object gameplay. The story is also good fun with the visual and sound adding to the atmospherics. 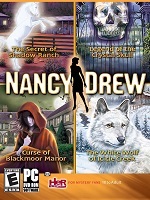 A perfect choice for those looking for the best new hidden object games in 2011. Though the minigames maybe a little easy, the puzzle games are particularly challenging, so may not be suitable for HO-adventure hybrid newbies. 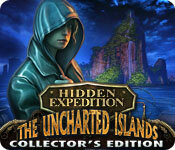 * For free demo/full version download for PC visit: Hidden Expedition Uncharted Islands.